Case Sealer machines, sometimes called End of Line machines ('Endoline' is a trade name for some of these machines) are used after the individual product packaging and boxing to pack the goods into, generally a brown outer carton before despatch. 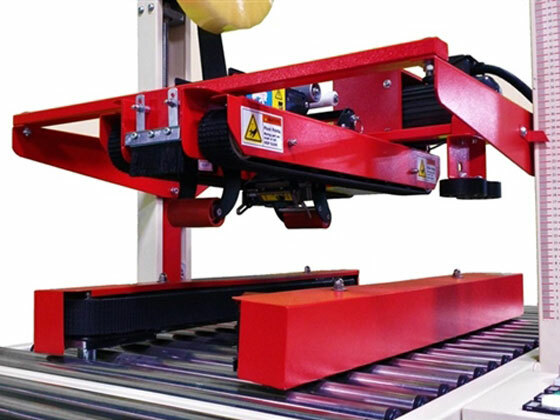 These machines would normally have narrow Gripface belts in PVC or rubber, supplied either vulcanised endless or with a small clipper fastener (the fastener is ideal for this application, with the gripface top it will sink into the surface and not cause any product damage). The belts drive the box through for taping top and bottom and can be run horizontally at the sides of the case. These belts generally have a tracking guide fitted to the back to keep them in place. 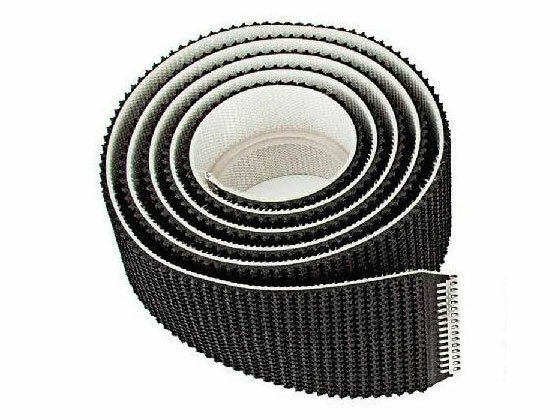 We are happy to offer these belts, produced to order here in Driffield, with a 24hour despatch on any combination of material, joining or guides required.